DesignApplause | cyprum – mem refinement. 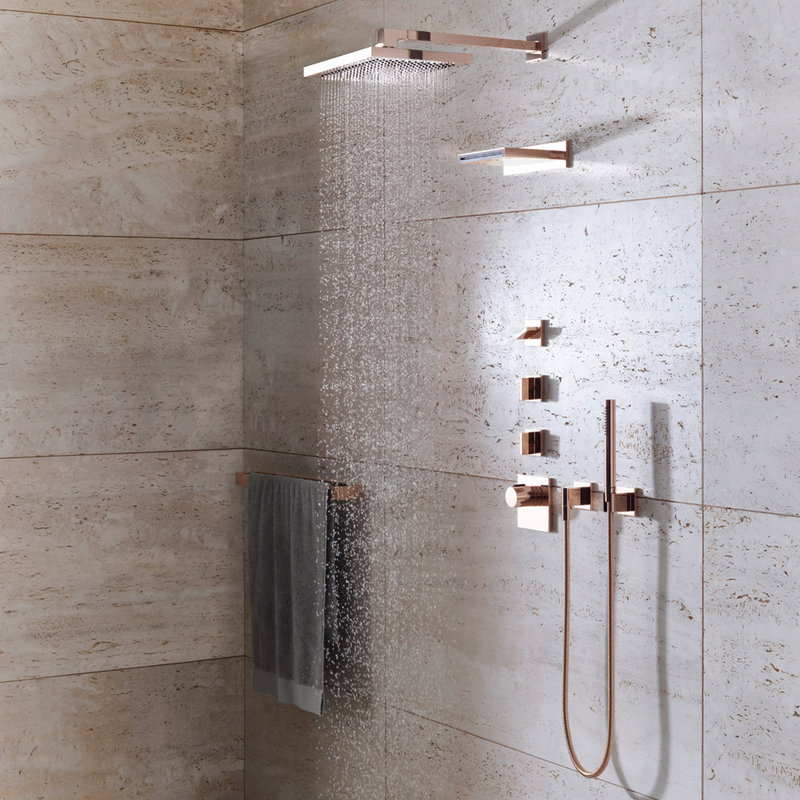 sieger design for dornbracht. cyprum – mem refinement. 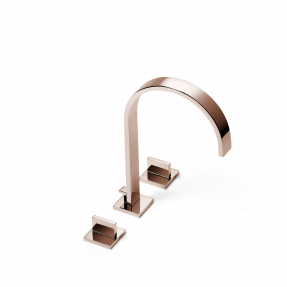 sieger design for dornbracht. 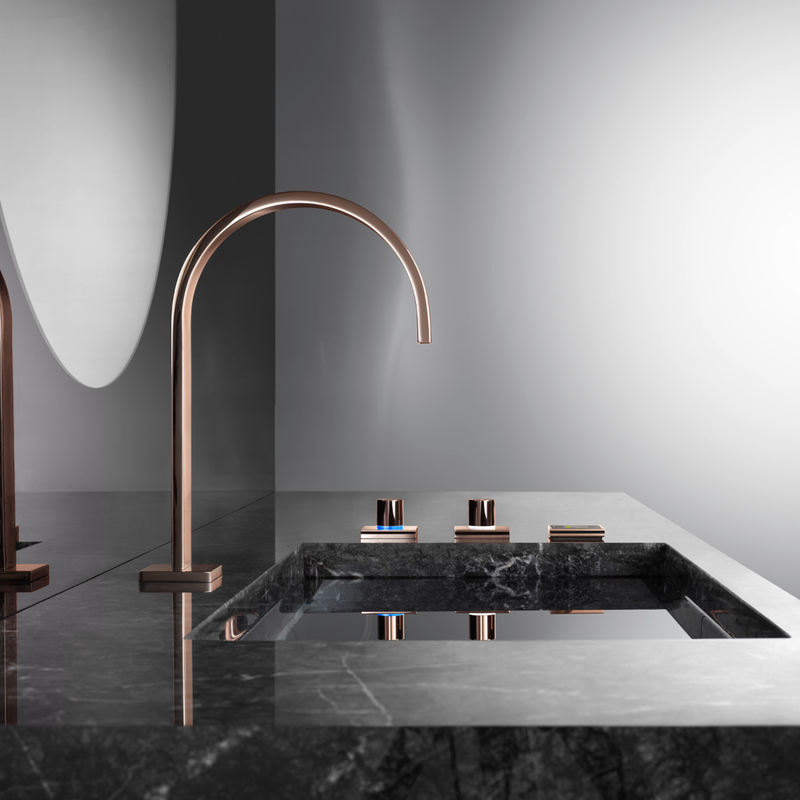 CYPRUM is a high-gloss finish produced using 18-carat gold and copper and is now available for the first time for kitchen fixtures. The dominance of cool white and metallic tones is passé in kitchens and interiors and individual style is increasingly characterised by warm tones and earthy, natural materials. 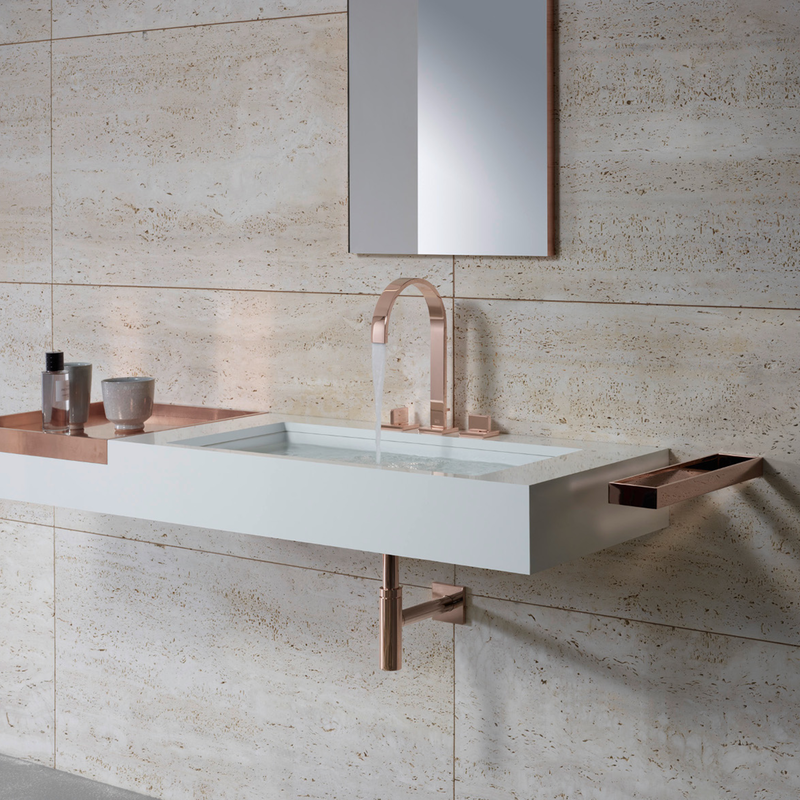 Copper in particular is defining quality aesthetics as a contemporary fine metal. 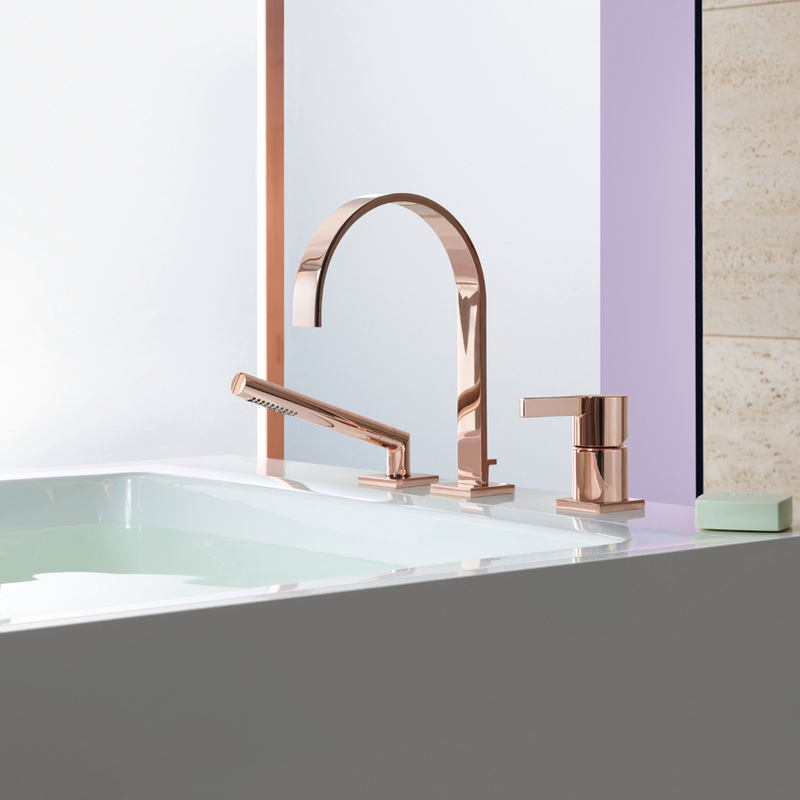 Eleven years after the introduction of MEM in 2003, this fitting series now beams with a fresh glow: Dornbracht has revised the formal aesthetic elements of the series, adding products in the process and creating a new highlight in 18-karat gold in the new ‘Cyprum’ finish in pink gold. 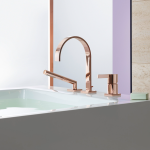 True to its guiding principle – ‘reduce everything to the essentials, but don’t eliminate the poetry’ – Dornbracht gave the body of the fitting for single-lever mixers and bidet fittings, and the lever design for all MEM lever variations, adapted proportions and optimised technology. 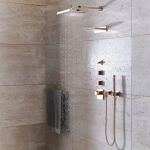 At the same time, with the rosette dimensions adapted to 60×60 mm, Dornbracht presents an important step towards digital combinations with MEM: All MEM products can now be combined with outlets and controls with other designs and from other series, e.g. the Water Modules introduced in 2013 under the motto: ‘Personal needs, individual spaces’, or the Smart Water digital control technology. 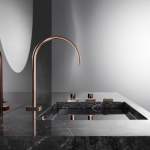 In addition, there are two completely new product types to complement the MEM programme: With its black matte finish, the new, free-standing bathtub mixer with flow spout and bar-type, hand-held shower head emphasises the purist language of design of the fitting series. The 3-hole mixer for the bathtub edge broadens the selection by adding a new alternative with great ease of operation.